Most people know that travel and entertainment expenses are deductible, but don’t understand all of the rules and regulations around it. In general, you can write off 100% of all business-related travel expenses and 50% of all business-related entertainment expenses. In order to deduct the expenses, they must meet specific requirements set by the IRS. QuickBooks Online makes it easy to keep track of your travel & entertainment expenses so you won’t miss a deduction. You can enter your expenses into QuickBooks manually, import them directly from your bank/credit card provider, or scan receipts from your mobile phone. Try it yourself with a free trial. Expenses you incur while traveling for business are deductible if they are ordinary and necessary. An ordinary expense is one that’s common and accepted in your trade or business, while a necessary expense is one that’s helpful and appropriate for your business. You can deduct 100% of your travel expenses that are ordinary and necessary. For example, if you were a franchisor who wanted to attend a franchise expo in hopes of making some connections and learning the latest industry trends, this would likely be considered an ordinary and necessary expense. It probably would not be an ordinary and necessary expense to rent a Porsche to get around while you’re at the expo. It’s a good idea to outline the travel expenses you can deduct in a business travel expense policy. To help with these types of travel expenses, you can use a specific credit card like a fuel card or fleet card. If you drive your personal car to your business destination, you can deduct the expenses for operating and maintaining your car while traveling for business. There are two ways to take this deduction: calculate actual expenses or take the standard mileage deduction. When deducting travel expenses, you can calculate your actual expenses by totaling your receipts on things like gas, tolls, and parking. Alternatively, calculate the total miles driven round trip and multiply it by the standard mileage deduction for 2017, which is currently 57.5 cents per mile. Compare the total of your actual expenses to the standard mileage that you calculated and take whichever gives you the largest deduction. If you drive in service of a charitable organization, you can deduct 14 cents per mile. Be sure to check out our articles on when to use the standard rate vs. actual car expenses for more tips on taking a deduction for your personal vehicle that is used for business. If you tend to check your luggage, you can deduct those baggage fees that most of the airlines will charge you. You can also deduct the cost of shipping business supplies or materials to your destination ahead of time. For example, if you are attending a convention and you have materials that you need to set up for a booth, you can deduct the cost of shipping those items to the convention location ahead of time. If your business trip is overnight and you need to stay in a hotel, you can deduct your hotel room and taxes for the length of your stay for business only. For example, if you attend a 3-day convention but you want to stick around for the weekend to see the sights, then you can only deduct your hotel cost for 3 days. You can deduct 50% of the cost of meals while traveling as long as they are not “lavish or extravagant,” according to the IRS rules. An expense is not considered lavish or extravagant as long as it is reasonable. If you would dine at a restaurant even if it were not a tax deduction, then I think it’s safe to say this is reasonable. If you are on a long business trip and find that you need to have your clothes laundered, you can deduct this expense. This is especially important if you’re wearing formal attire to a meeting, event, or conference. Nowadays, most of us have cell phones that we use for business calls. However, if you do use the telephone in your hotel room or you need to use their fax services, you can write the cost of both of these off. Further, you can deduct the percentage you use your personal phone for business. If you use your cell phone 40% of the time for business you can deduct 40% of its annual cost. Any tips that you pay during your business trip are deductible. This includes, but is not limited to, cab drivers, bellhops, and curbside service at the airport. This can be a tricky expense to keep track of. There are other miscellaneous expenses that you may incur while traveling that are deductible. For example, if your hotel charges a fee to use their wi-fi in your hotel room, that is deductible. Also, If you need to use a computer or printer at the hotel’s business center, any fees that they charge for this service are also deductible. To see a complete list of other travel deductions, check out IRS Publication 463. If you travel a lot, it might make sense for you to get a small business credit card with cash back or rewards points. Most of these cards are expense-specific, and if you travel a lot, you can take advantage of good travel rewards. You can’t deduct travel expenses on a trip that is primarily for personal reasons, like a vacation in the Caribbean. However, you can deduct expenses you have while at your destination that are directly related to your business. For example, if you attend a professional seminar while on vacation, you can deduct the conference fees. They would otherwise be allowed to deduct the travel expenses. If they do not meet these criteria, then you are not allowed to deduct any meals, transportation, or other expenses for a companion during the trip. It’s important that your business travel expense policy reflects this. To qualify as a deduction, expenses that you incur to entertain a client, customer, or employee must be ordinary and necessary. A couple of examples of this would be buying tickets to the theater and giving them to a customer or throwing a Christmas party for employees. You can only deduct 50% of entertainment expenses. The entertainment expense must take place in a clear business setting. For example, a conference room in your office would qualify as a business setting. Further, the main purpose of entertainment is required to be the active conduct of business. An expense is directly related to business entertainment if you engaged in business with the person during the entertainment period, and you had more than a general expectation of getting income or some other specific business benefit. For example, if you took a potential client to a country club where you discussed business while you played a round of golf together would likely satisfy this test. The entertainment expense must be associated with your trade or business and it must occur directly before or after a substantial business discussion. For example, a hotel owner who does wedding events might offer a couple free dinner and an overnight stay in hopes to plan their wedding and reception. As long as the hotel staff meets with the couple to discuss their wedding packages, it would qualify under the associated test. If you treat your employees and/or clients with things like meals, it might make sense for you to get a small business credit card with cash back or rewards points. Many of these cards are expense-specific, and if you spend a lot entertainment, you can take advantage of good meals and entertainment rewards. In general, you cannot deduct things like dues (including initiation fees) for membership in any club organized for business, pleasure, recreation, or another social purpose. For example, dues paid to country clubs, golf clubs, and airline clubs would not be deductible. To provide members or their guests with access to entertainment facilities. Similar to travel expenses, you are not allowed to deduct any entertainment expenses for a spouse, family member, or another individual unless you can show you had a clear business purpose, rather than a personal or social purpose, for providing entertainment. There are typically 3 different tax forms you can use to accurately deduct travel and entertainment expenses. 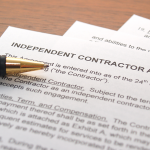 Sole proprietors, LLCs, corporations, and partnerships will all need to use a different form. These forms include a Schedule C, Form 1120, and Form 1065. Below, you will find a table that shows the tax form that you can use to report Travel and Entertainment expense deductions based on your business entity. If you are not sure which business entity is right for you, check out our Best Business Structure article to learn more. Keeping track of your travel and entertainment expenses doesn’t have to be complicated. While it might seem easier to use an Excel spreadsheet, you can save a lot of time by using an accounting program like QuickBooks. When you enter your expenses into QuickBooks, your financial statements will automatically be updated. When tax time rolls around, simply run a Profit & Loss statement and enter that info into TurboTax, our recommended tax software for small businesses. You don’t have to be an accountant or tax guru to use TurboTax. Best of all, it will make sure that you take every deduction that you qualify for. To see our top 3 tax software picks, check out Best Tax Software. Also check out our ultimate guide on how to maximize your tax return. On the back of the receipt, I recommend you jot down the name of each person in attendance or at least the name of the client. I also recommend that you get into the habit of scanning receipts into your computer. After a period of time, the ink on receipts starts to fade, which makes the receipt hard to read. 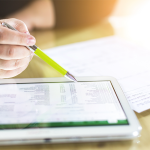 Accounting software programs like QuickBooks Online, which is our recommended software for small businesses, allow you to attach scanned receipts to transactions so that they are easily accessible when you need them. To learn more about QuickBooks Online, check out our free QuickBooks Online course. A question that business owners typically have when it comes to documentation is how long do you need to keep these records. In general, you should keep records that support your deductions for 3 years from the date you filed the income tax return on which the deduction was claimed. Take a look at our Small Business Bookkeeping guide for best practices on documents to keep and how to go paperless. Check out our Top 21 Business Tax Savings Tips article. Check out the IRS video portal. You will find a section dedicated to small businesses. This library includes over a dozen videos, including Small Business Taxes: The Virtual Workshop. Use a CPA or tax professional – If you have a tax professional who does your taxes each year, that is the best person to ask your tax questions. If you need to find a tax pro, check out How to find a QuickBooks Pro. Ask us – You can leave a question or comment below this article or in the forum. We can’t give you tax advice, but we can definitely point you in the right direction. QuickBooks Online makes it easy to keep track of your travel & entertainment expenses so that you won’t miss a deduction. While you can enter your expenses manually into QuickBooks; you can save time when deducting travel expenses by connecting your business bank account so that the info imports in a matter of seconds or you can scan your receipts into QuickBooks right from your mobile phone! If you are looking for an alternative to that shoebox of receipts, you should take QuickBooks for a test drive. Prices range between $15 – $50/month for the first six months and you can even get a free 30-day trial.